London Bridge railway station has partially closed for nine days for building work. There will be no First Capital Connect or Southern trains calling at the station until 1 September. The closure is part of the £6.5bn Thameslink programme, which aims to improve north-south travel through the capital. 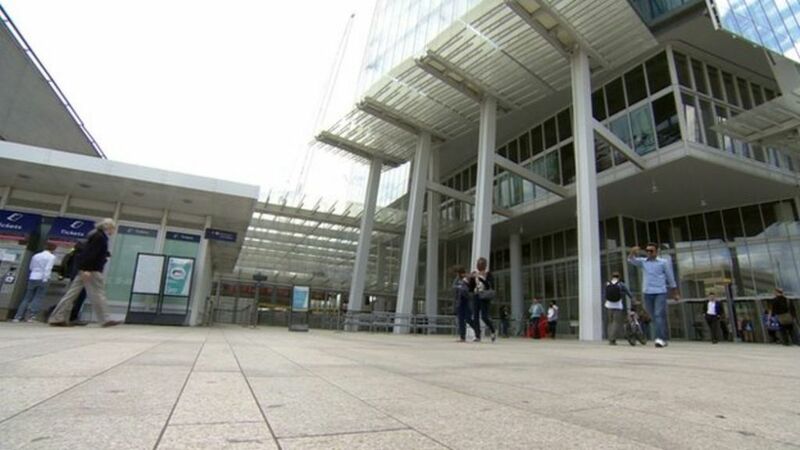 Nicky Hughes from Network Rail said the redevelopment of London Bridge was a "huge challenge"
London Bridge rail station partially closes for nine days for building work. Southeastern Networker 465934 arriving at London Bridge station in June 2011. Looking west towards the trainshed over platforms 9 - 16 at London Bridge station on a Saturday morning in July 2005. The structure is likely to be demolished as part of a planned station rebuild, details of which are being finalised. On the left is one of the Class 456 units operating the South London Line shuttle service between London Bridge and Victoria.